This is the Pointer with game bird which is one of a pair of working dogs done by Moigniez in the middle of the 19th century. 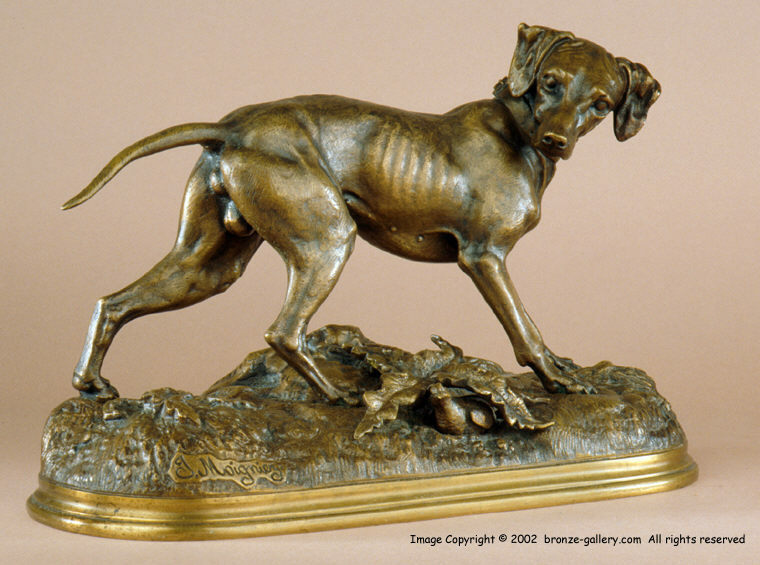 These two bronzes are in extraordinary condition and have been a pair since they were first sold in the 1860's. It is very rare when a pair of bronzes stays together for over 150 years and these two sculptures are a fantastic find. 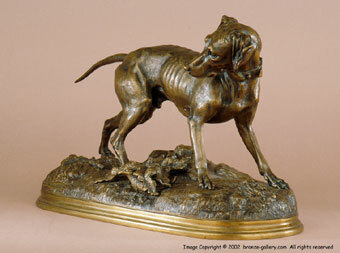 Moigniez was a master at sculpting dogs and these two impressive bronzes are some of his finest works. They are both finished in a light brown patina with the rims of the bases done in gold dore to set them off. Because of this attention to the patina these were a special request from the client.